While you’re tidying the house for holiday guests, collect receipts likely to impact your return and store them in one easy-to-remember place. This will make that trip to the accountant’s office so much easier in 2018. If you aren’t responsible for checking the mail at your house, remind the person who takes care of this chore that end-of-year statements containing important tax information are coming soon. Let them know to store these documents with your other 2017 items. 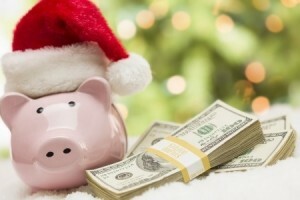 Consider end-of-year charitable giving now, and make sure to follow through by Dec. 31. If your giving is based on end-of-year bonuses or other money not currently on hand, set a reminder on your smartphone or mark your calendar. After all, wouldn’t you rather send your hard-earned dollars to your favorite charity than to Uncle Sam? Be sure to save that receipt! A little preparation now will help your accountant maximize your refund in the new year. Remember that we are here to help. Happy receipt hunting!